Come and discover a truly unspoiled wilderness of mountains, fjords, glaciers, forests and steppes. With some of the most dramatic mountains in the world towering over glaciated lakes and rolling grassy foothills, there will be plenty of amazing landscapes to keep us busy. This trip will be lead by Juan Pons and David Rosenthal, who will be accompanied by local guides to give you the best of local cultural information and photographic guiding. We have arranged this workshop to give you a feel for the unique alpine environments south of the equator that have remained the same for thousands of years. 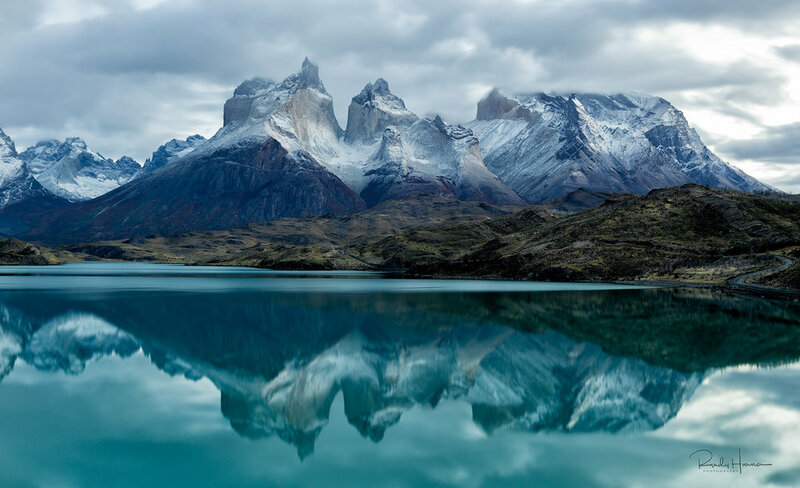 We'll be going to some of the most dramatic locations within the Los Glaciares National Park, with over 2800 square miles we'll have plenty to keep us busy. You'll have your long lenses for our Antarctic expedition, and there will be opportunities to photograph the birds and even wildlife within the park. This workshop is designed as an extension to our Antarctica Expedition. the hikes you choose to do. December 13, 2018: We return from Antarctica this day, and we will all fly commercial from Ushuaia to El Calafate. We will advise you as to the flight to book (not included). December 13–16, 2018: We meet up with our local guide and then drive to El Chaltén along the scenic highway with a few stops for enjoying the views. 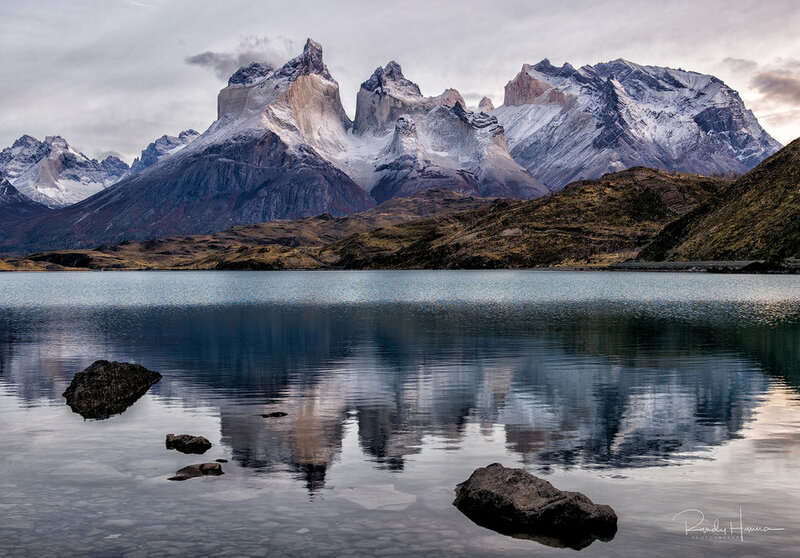 We'll be staying in El Chaltén at the Destino Sur Hotel, for 3 nights so you can unpack and enjoy the spectacular view right from your hotel room. 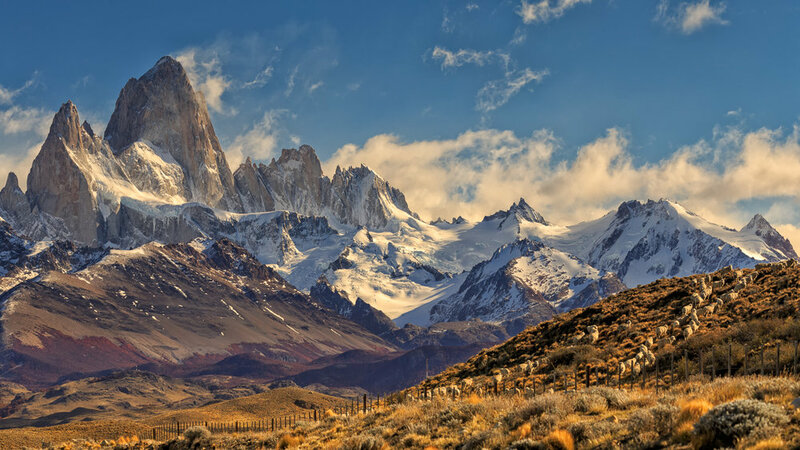 These three days in El Chaltén offer us a great chance for exploring the northern area of Los Glaciares National Park, where Mt Fitz Roy and Cerro Torre are located. Also with the magic of the mountain landscape, December is when the southern summer starts, and flowers are at the peak of their bloom, and birds are nesting or feeding their chicks. Hiking towards the base camps gives us unique chances for taking the best shots of the mountains and the forest at down and sunset. 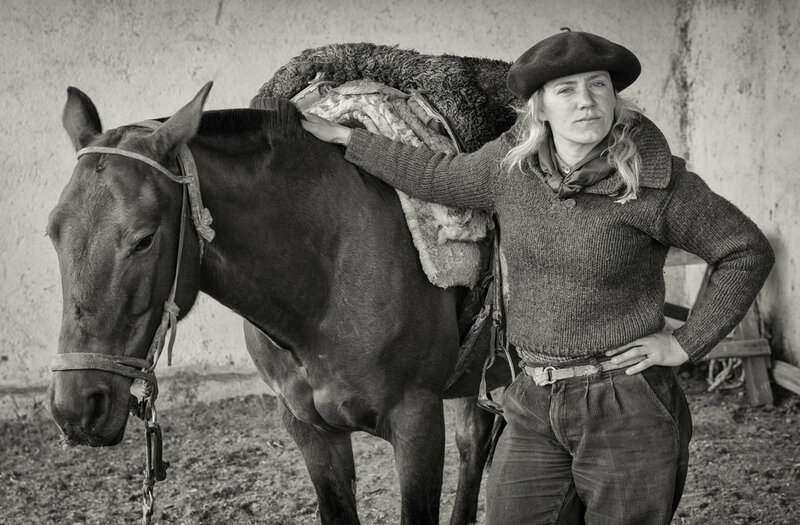 December 16–17, 2018: Depart El Chaltén and drive south to El Calafate where we stay for the remaining 2 nights at the Hotel Posada Los Alamos. We'll be visiting the Laguna Nimez Natural Reserve, where there are over 70 species to photograph including the upland geese, silvery grebes, large groups of flamingos, black-necked swans, black-faced ibis, lapwings, ducks red-gartered coots, sparrows, and chimangos. 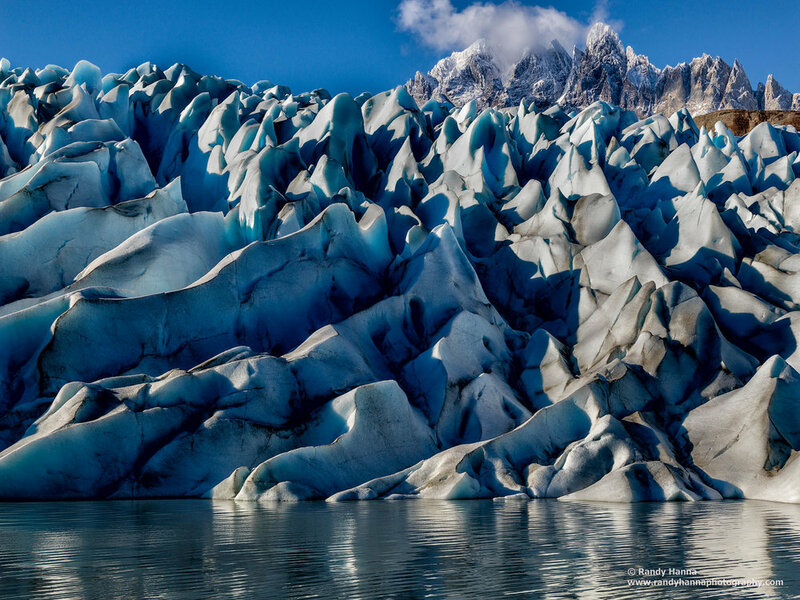 We'll also take a boat ride to the Perito Moreno Glacier, where many spectacular ice sculptures can be photographed. December 18, 2018: Following sunrise and breakfast we'll transfer to El Calafate airport where we catch our flights onto Buenos Aires. We will advise you as to the flight to book (not included). And then you will fly home or elsewhere from Buenos Aires. Air transportation to El Calafate, Argentina. And from El Calafate to Buenos Aires, Argentina. Alcoholic beverages. Items of a personal nature. Trip and cancellation insurance. Anything not listed as included. Your deposit of $3,000 will hold your place in this workshop. Final payment of $3,995 will be due by August 1, 2018. All of Muench Workshops Terms and Conditions apply. Images courtesy of Randy Hanna and Muench Workshops guest Jim Guerard.